Is this what John Dewey meant when he described school as *the social center* of the community and as a site for building a democratic society? Are No Excuses schools preparing citizens, training workers or preparing individuals to compete for social positions? If the answers to these questions aren’t clear, it may be time to seriously re-evaluate the goals of your school. Ramon Griffin is a former charter school teacher and administrator as well as a juvenile probation and detention officer. He is currently working on his Ph.D. in Educational Administration at Michigan State University. Contact him at griff519@msu.edu, or visit his website. ← Previous Post The Future of Teachers Unions? 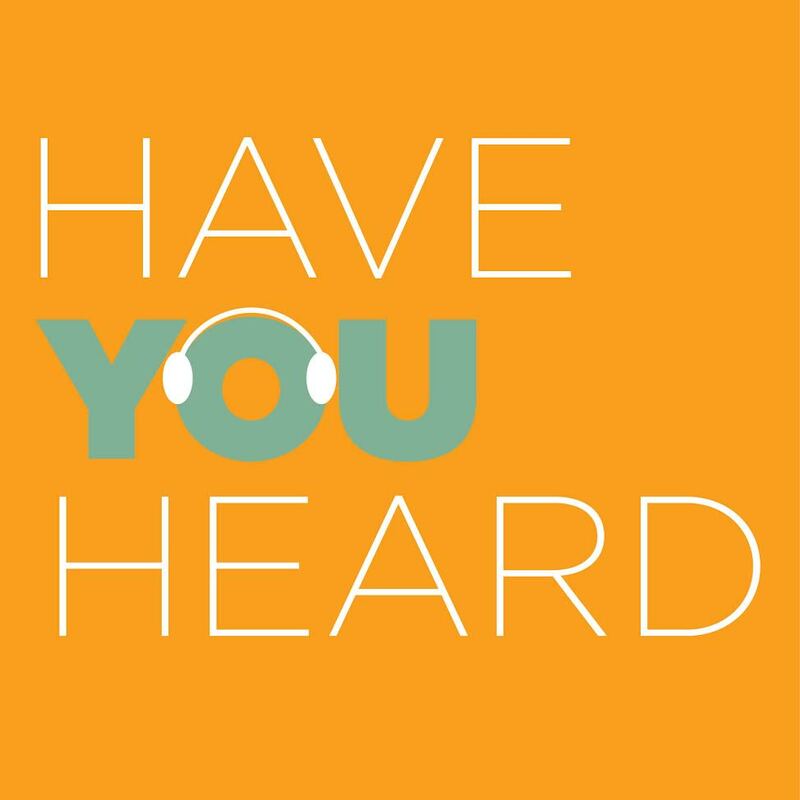 Next Post → Have You Heard? KIPP needs to be a whole lot more vocal about such questions. When they first burst on the scene, they had all the answers: longer days, strict discipline, drill-and-kill – all the worst ideas of “public” education. And because of KIPP and similar schools such ideas are increasingly being forced on real public schools at the expense of rich curriculum, exploratory/hands-on learning, respectful interactions, etc. Now KIPP seems to be realizing, to some extent, how wrong they were and they’re quietly walking back some of those policies. They’re quietly shortening their school day, lessening the focus on drilll-and-kill, advocating for more respectful treatment of students and teachers. Sorry, but you’re a little late for that party. When you’ve done the kind of damage that KIPP has done, you need to have a very public, Diane Ravitch-type confession to the world: we were wrong. We’ve learned from our mistakes and now we’re going to be very vocal in getting the word out about the error of our ways. But instead, KIPP is coming full circle back to where those horrible public schools were to begin with (and getting the same test results as public schools, for whatever that’s worth) and yet they act like they invented the damn wheel. Here in Dallas, a No Excuses style/KIPP-ish chain is trying to expand yet again, this time with a poorly-rated campus in an already oversaturated (by charters) area of town. Uplift (the charter chain) administrators have commented on some of the dehumanizing practices, denying specifics and seemingly to indicate a general softening, now that the entity is under more public scrutiny. I linked to this Open Letter and Griffin’s previous “Colonizing” pieces too. Thanks to both for helping me to illuminate the layers of unsavoriness involved within the edu-deform movement. Thank you Miss Adieux for pushing back. I am happy that the piece resonated with you and that it was able to highlight some of the problematic portions of Ed reform. Thyank you for this article. “No excuses” teaches nothing but compliance and is in total opposition to critical thinking and self-actualization for students. That is what is so horrifying to me about “no excuses” schools. When minority students need so much to feel that they are in charge of their destinies and that they too can be leaders and entrepeneurs, any education program whose major component is compliance is diametrically opposed to self-actualization. I find the entire concept abhorrent. Thank you for your comment. You took the words out of my mouth. There needs to be some radical and swift action occurring within CMO’s like KIPP and other “No Excuses” schools acknowledging how harmful these policies actually are and have been. Thank you Gordon. It is great to see that this idea is catching on. Now, if we can actually see these improvements and changes in ideologies go from casual conversations to actual everyday practice I will be satisfied. What troubles me is that nowhere in your post do you address the importance of academic rigor and the need to help traumatized youth reach college and career, whatever their background and circumstance. After all, my understanding was that the term “no excuses” is intended to mean there’s no excuse for the school not to see every child off to college, not that there’s no excuse for the child not to fall in line. I’ll be interested to hear what Ramon has to say to this, but I think he touched on this very question in this sentence: “When I chased young Black ladies to see if their nails were polished, or if they had added a different color streak to their hair, or when I followed young men to make sure that their hair wasn’t styled naturally, I could have been critically engaging my administrative peers on why these practices were the law at our school—and how exactly they contributed to getting students into and through college.” That is, the issue Ramon is raising is ‘what do these specific no excuses policies have to do with getting traumatized youth, as you put it, in and through college?’ Will they be attending colleges where co-eds walk in silent lines? Or eat lunch in silent dining halls? Will they be tracking their professors with their eyes? Or will their campuses ban mismatched socks the way some religious schools still forbid dancing? I ask these questions to No Excuses fans and they never have a good answer. Do you? It took me 30 seconds to search and see that she isn’t even licensed in the state of Tennessee as an educator. I don’t know her resume, but as some licensed as a teacher and administrator, I find it ridiculous that she is somehow an expert on education, but couldn’t get a license. The Thernstorms, authors of the manual, “No Excuses” have a well deserved reputation for being disdainful and out of touch with the very populations for whom they write their dictats. I regret deeply that Abigail Thernstorm once served on Massachusetts State Board of Education, for more than a decade beginning in 1995 until 2006, while John Silber reigned as chairman. This political appointment somehow has conferred on her an expertise in all things educational. Abigail has fans in the usual places: The Manhattan Institute, The Fordham Foundation (not to be confused with Fordham University!) and the Hoover Institute. In fact, the power couple has made a living, from their exclusive suburban enclave (now also home to Roland “two-tier” Fryer) pontificating and shaking their fingers at “those people” and sighing in bafflement as to why they don’t just tug much harder on their non-existent bootstraps. Thank you Christine for your powerful testimony. I am so full that this has sparked a national conversation about this topic. For the sake of our babies, the deserve so much more. Thank you again. Thank you Mr. Griffin, for a thoughtful and important piece. 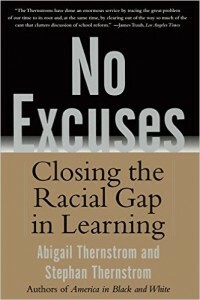 I want to reiterate the call you made in the last paragraph: “Lastly, I believe that it is time for a thorough examination of the psychological and emotional impact of No Excuses policies and school cultures.” Having worked as a teacher on an inpatient child/adolescent psychiatric hospital unit, I saw far too many students coming from these “no excuses” school suffering from severe depression, anxiety, and even suicidal thoughts. Because many parents in urban districts are only being given “false choices” in today’s educational landscape of sabotaged/severely underfunded public schools or harsh, “no excuses” charters, kids are often left in an unwinnable situation. They reported feeling trapped in a school with extra-long days, harsh/rigid discipline, demoralizing academic/retention policies, and overwhelmed by the unwavering expectations regardless of disability or circumstance. No excuses, instead of a program to improve behavior, is actually a way to sort students over time. Many kids are not going to conform to the rigid expectations of NE schools, and the ultimate goal of these programs is to push out undesirable students. But often their parents will not let them leave the school-for very pragmatic reasons-and the kids get stuck in a limbo of abuse. And some kids crack under the pressure leading to severe mental health problems. I’ve worked with too many students who would rather hurt themselves than return to those harsh environments. 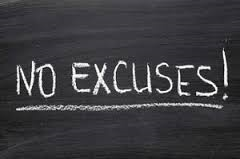 I would like there to be a comprehensive study done on the psychological/emotional impact of “no excuses” on students. I’m certainly not saying every student at NE schools will be harmed to the point of hospitalization-many will adapt to the desired compliance level, which brings up its own set of ethical questions especially as these students are overwhelmingly students of color. But it was a far too frequent symptom of the kids who did need psychiatric treatment. This ideology is dangerous and damaging. Katie, thank you for perspectives. I am so happy that you found the article to be thoughtful and representative of everything dangerous and damaging to students around the nation. Your thoughts about this topic are spot on. Many educators in this system may not realize, but they are cultivating “conformist” and not critical thinkers. This is the exact opposite of what we socialize our children to be. My upcoming dissertation work at Michigan State University will examine the very issues that you brought up. Thanks again. Lest all ye public school teachers and administrators think that the concerns of Griffin apply only to “no excuse charters”, I plead with you to look in the mirror as all of the educational malpractices you have helped institute from educational standards and standardized testing insanities through the labeling of students through “grading” and perpetuating that those “grades” actually have any validity and realize that you too are just like the “no excuse charter” educators (sic-better said trainers)-broken and sad excuses of/for the teaching profession. You are so right. These concerns do not just apply to “No Excuses” schools, policies or socialization practices that may be harmful to students. It directly calls out educators for conforming and not be critical of their own practice. It definitely pushes the envelope and I believe that words provide significant fodder for another post related to the issue. Your words are powerful and make me look in the mirror as well. Thank you. Having served (briefly) as an “instructional leader” (i.e. principal, dean of students, lunch lady, prep-time relief teacher, part-time janitor, part-time psychotherapist & surrogate mother) at a charter school that was not technically or officially or even philosophically a “no excuses” school, but still, as you Duane so aptly point out, utilized “educational malpractices” that were minimally pedagogically suspect and psychologically questionable at best, I too found myself being called out by Mr. Griffin’s treatise. 1) I was punishing a child for an adult issue. 2) I was punishing an impoverished family for a systemic issue. 3) Many of my kids were smart (er than me) and came to school out of uniform on purpose because they didn’t want to go outside to play in a yard that didn’t have enough mulch to cover the concrete or the crack pipes we regularly cleared anyway! But seriously, if we were going to practice what we preached about making quality education accessible for every child that entered out doors, in a way that honored who they were as individuals, why in the world did it matter if they were in a yellow Polo or not, particularly if they couldn’t afford one?! In our defense, we thought we were “leveling the playing field” by relieving our low-income parents from the pressure of having to buy expensive school clothes, helping the children to focus on academics and not who was (or wasn’t) wearing the latest whatever. But when you have to look at the faces of Kindergarteners who just want to learn to read & play & speak English, and those in charge of the school’s purse strings won’t give you money for uniforms (or furniture or books or a curriculum or enough food so that on the first day of school you have to go to Little Cesar’s to buy enough pizza to finish feeding your upper elementary students! ), you make those (not so) tough moral decisions & do what many of us (who can’t really afford it ourselves) do and start wracking up frequent buyer points as you clean out the yellow Polo section of the local uniform retailer. We stop going along to get along, we go get our kids what they need. Your quotation of Rawls brought back memories of my (painful but necessary) encounters with seminal works in education as I pursued my doctorate, when I learned about the literal and philosophical architects of education, particularly American public education. Your invocation of the (social) justice imperative reminded me of when Pedro Noguera speaks of the moral imperative of public education in “City Schools & The American Dream”…We have (& have had) the research, the money, & the talent. But do we have the WILL? 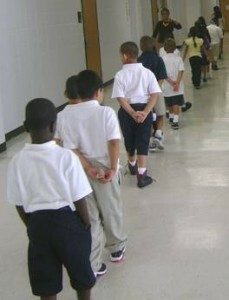 Do we REALLY want to help those poor black and brown kids? Have we ever?!! Of course we do, but again, as you aptly point out, too many teachers and administrators are going along to get along, at the cost of the most vulnerable populations’ present & future which will eventually (or is currently) lead (ing) to the demise of us all. As an idealistic teacher educator, this is precisely why I push my students to question EVERYTHING! Even what I am offering as the remedy to the ills of (public) education. Stop doing school! Unlearn what you’ve taken for granted and/or has been fed to you! I try very hard not to train teachers, I (try) to show bright young minds how to BECOME effective educators, and those are the kinds of folks Mr. Griffin encourages “no excuses” teachers and administrators to be: critical thinkers, push-backers (I don’t know if that’s a real word), question-askers (not sure about that one either), risk takers, the same kinds of people we educators claim to we want our K-12 students to be! We’re all in(dicted in) this together! A choir member to whom you preached. People question why parents would want heir children to attend “no nonsense” schools. For districts in receivership there may be no choice. Charters have replaced the traditional public schools. This is a great point. It was actually what I trying to convey to the folks in Nashville. In many cities around the country, “No Excuses” is all they have to select from. Is that really a choice? I worked in Camden, NJ for two years where the district is rapidly fazing out public schools in a push to open charters. Five new charters opened this year with beautiful new facilities. The parents aren’t even aware of the mentality of the charters – they’re just told they’ll offer better educational opportunities. In addition, the teachers in Camden’s public schools are being forced to adopt charter practices. We were directed to have 8th walk quietly in a straight line and line up on separate tiles. The staff would morbidly joke that we weren’t preparing them to think independently in college – rather we were preparing then the follow orders in prison. Outside of the military or prison, there’s no place they’ll ever be expected to follow these practices. As someone who values individuality, it was unbelievably frustrating to try to balance the “conformation” mentality with the needs of students who are at an age where they are trying to create their own identities. Quite simply, the parents of Camden might not have a choice to put their students in a place where they don’t face these types of restrictions. I recently had a very disturbing conversation with a new member of our faculty. She began the conversation by saying how happy she is at our school, especially after her experience last year. She is a teacher with 20 years experience but relocating to Massachusetts forced her to take the first job offered, a charter school in Lawrence. She told me that there was very little real teaching going on. Most class time was devoted to issuing demerits. There were demerits issued for not maintaining the “slant position” (folded hands on top of the desk), for not “tracking” the teacher as he/she spoke, for not “tracking” the student who is responding to the teacher. Other demerits were issued to students for not meeting time limits – so many seconds to pass back papers, so many seconds to pee. She considered herself the mother hen of the faculty. Most of the teachers were in their early twenties. Other than herself, the senior members of the staff were the TFA teachers who had signed two-year contracts. Just read the first couple of paragraphs. Sorry to hear that your students were subject to bad practice. At both my current and former “no excuses” schools the cited practices would be quickly called out as bad and immediately addressed. So I guess my experience suggests that it is not the no excuses model per se but the quality of the implementation and fidelity to sound ideas–which I find to be the case whether district, charter, public, private or montessori. Its the “practice” not the model.